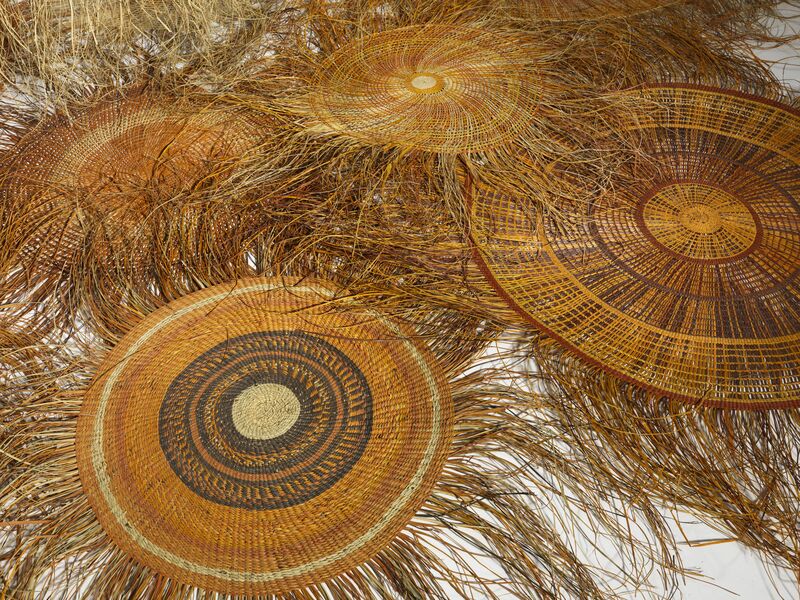 Located within Adelaide Botanic Garden, Nganmarra offers an immersive installation of woven forms in the Santos Museum of Economic Botany. 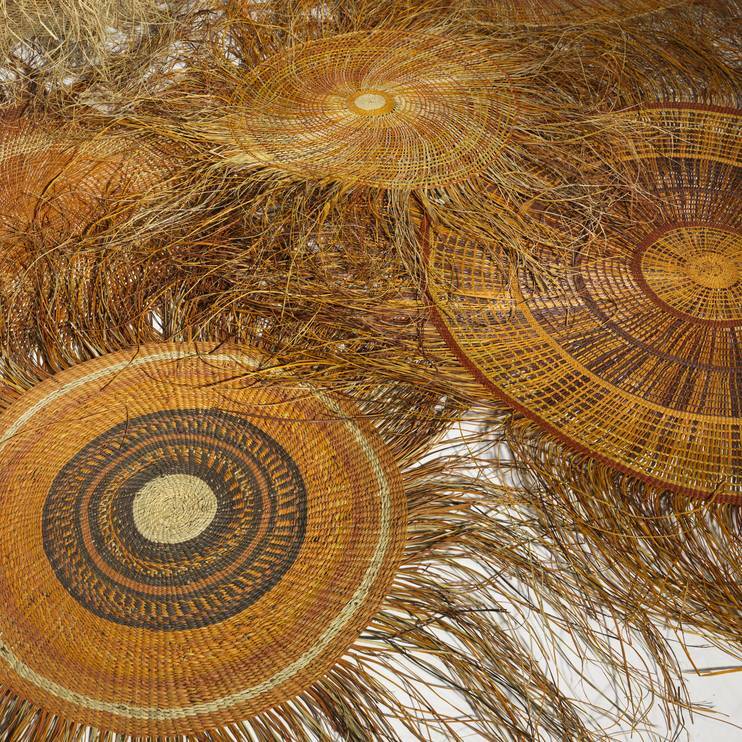 Nganmarra asks audiences to reflect on the cultural, economic and sacred values of the plant kingdom and highlights the extraordinary talents of senior women artists from Bula’bula Arts in Ramingining, northeast Arnhem Land. Image: Frances Djulibing Daingangan, Gupapuyngu people, Northern Territory; Julie Djulibing Malibirr, Ganalbingu people, Northern Territory; Robyn Djunginy, Ganalbingu people, Northern Territory; Evonne Munuyngu, Mandhalpuyngu people, Northern Territory; Mary Dhapalany, Mandhalpuyngu people, Northern Territory; Nganmarra: the container of life (detail), 2015, gunga ("Pandanus spiralis") and natural dyes. Courtesy the artists, Bula’bula Arts, Ramingining, and Botanic Gardens of South Australia, photo: Grant Hancock.